Vintage mirror from the sixties. 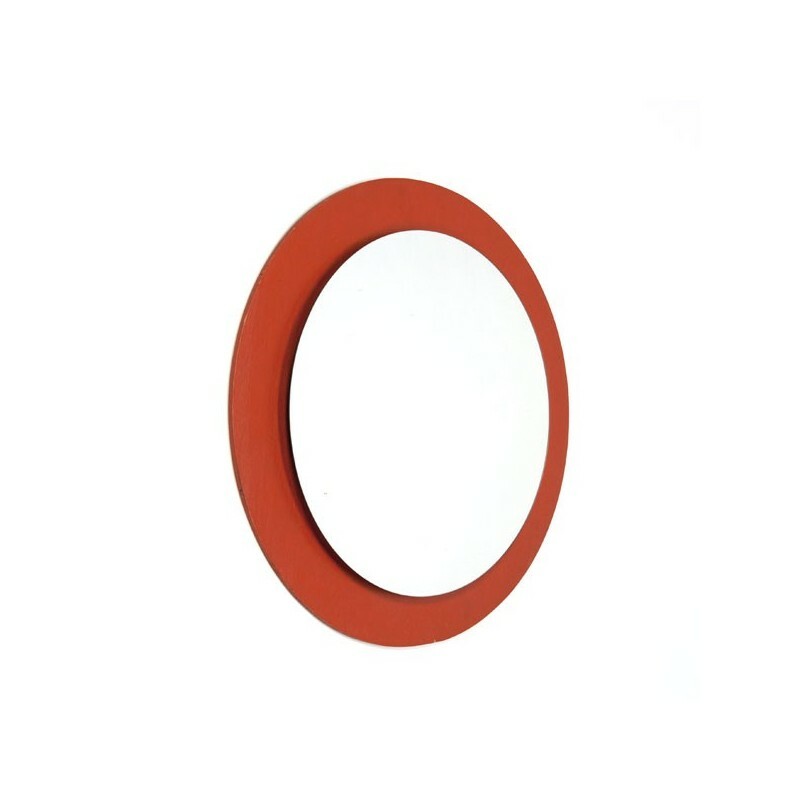 The mirror is orange colored wood. The condition is good considering the age. The dimension is 44 cm in diameter.